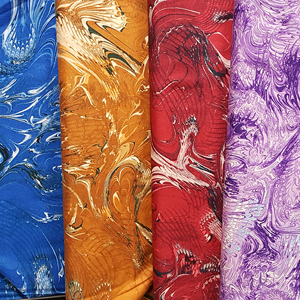 We carry one of the largest selections of quality Aboriginal and Batik fabrics in the Bay Area. We carry a number of quilting supplies that would be useful for all quilters, including rotary cutters, scissors, needles, applique, design walls, thread, batting, and more. We carry a variety of kits with everything you need to create a beautiful quilt. We carry a number of items that would make the perfect gift for any quilter, including gift certificates.